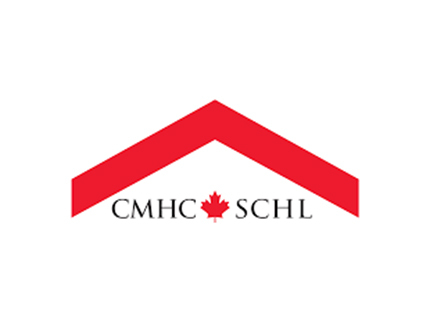 We are your go-to for marketing and sales of Pre-Construction condos, new homes and commercial real estate in Toronto and the GTA. With over 50 years of experience in the real estate industry, the team at Intercity Realty Inc., Brokerage has garnered many long-term relationships built on trust and integrity. 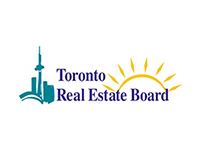 We focus on all types of real estate transactions including pre-construction condos, new homes, re-sale residential, commercial, and land acquisitions. 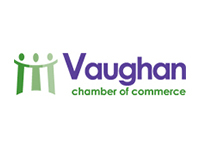 We have marketed and sold real estate in every major market across Vaughan, the GTA and beyond. 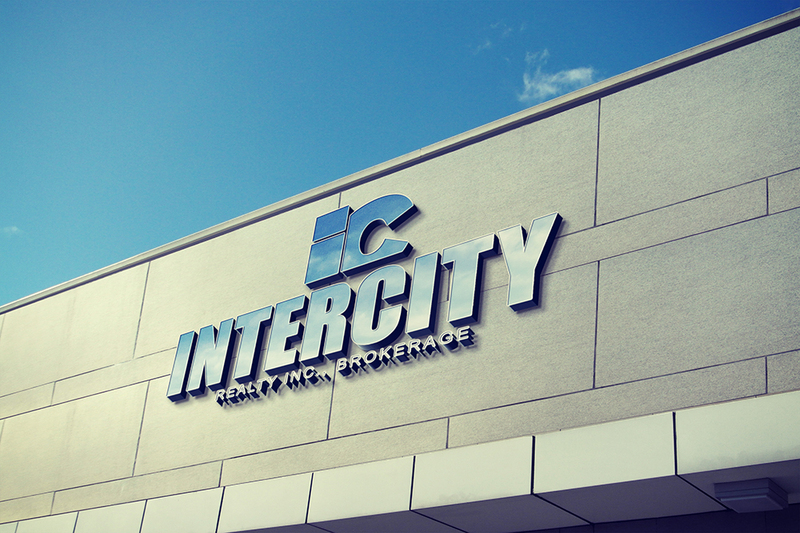 Intercity Realty Inc., Brokerage is a hands-on firm made up of creative business minded real estate professionals and brokers. We work to analyze and source the best possible value for our clients, then skillfully guide negotiations, acquisitions and sales. Our management team, sales representatives and support staff are friendly, professional, knowledgeable and excellent communicators. 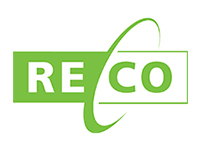 One of the most important aspects of our business is customer relations. We pay attention to our clients. Whatever their respective real estate transaction is, we offer an honest and clear analysis of their needs. We know our business. 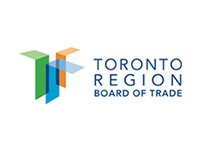 Our market research and analysis is thorough, comprehensive and ongoing in the GTA and particularly in the Vaughan region. 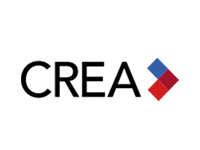 Our firm is one of the only real estate companies with an in-house marketing department that focuses on providing solutions to market and sell all of our clients projects. This department assists in producing the most efficient and effective marketing collateral using social media, digital advertising, print advertising, multimedia and billboard programs to drive property and project exposure, response and sales. 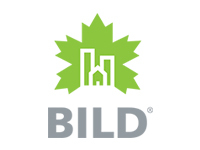 Our years of experience in sales and marketing of large master planned communities of pre-construction condominium & new home developments is something we are very proud of. Victor Grossi, Broker of Record and Founding Partner, Lou Grossi, Broker and Manager and Alda Neves Dubé, Managing Director lead Intercity’s team force and ensure all clients are receiving the highest level of service from builder to prospective purchaser. 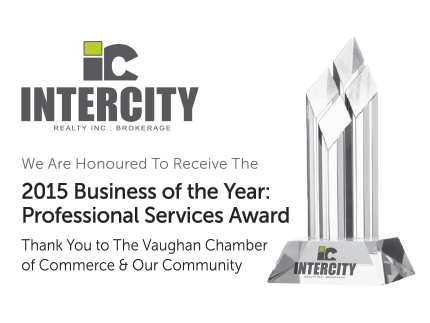 Intercity Realty has been honored to be presented with the 2015 Vaughan Chamber of Commerce Business Achievement Award – Professional Services Award. 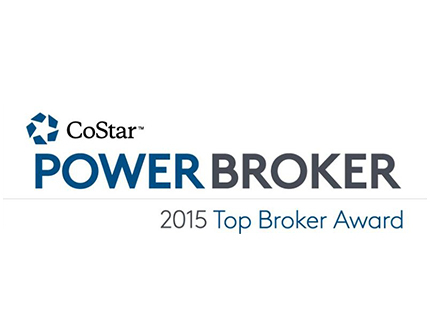 Intercity has been awarded the 2015 CoStar – Power Broker Award for having achieved high volume Toronto leasing transactions. The Delivery of the Homeownership Component on the Canada-Ontario Affordable Home Ownership Program for York & Durham regions. 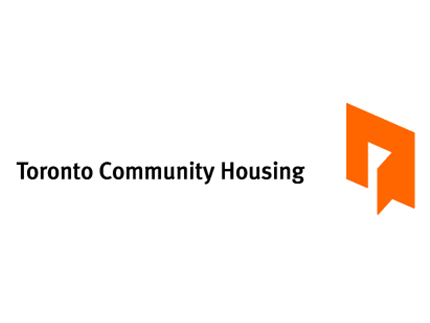 Awarded Group” A” representing the marketing and sales of City of Toronto properties with respect to RFP 16 /12 Licensed Realtor Services to the Toronto Community Housing.